It’s undeniably harder to get a loan now than it was a few years ago, with a number of factors combining to result in the tighter lending environment we have today. “Over the past year, as a response to the royal commission and government regulations, we’ve seen the major lenders tighten their lending criteria due to a decreased risk appetite. This meant that many borrowers who would have easily obtained finance before were suddenly finding their applications rejected by the majors,” explains Royden D’Vaz, head of sales and marketing at Bluestone. Since a convergence of factors has made it tougher for investors to access lending in the current mortgage market, it could be smaller institutions and non-bank lenders that pave the way for landlords to continue building their portfolios. Amanda James, head of broker distribution at Adelaide Bank, adds that it’s not just caps on investor and interest-only lending by the regulators that have hampered investors over the last couple of years, but, more so, the response of the big banks in terms of tightening their loan application criteria. “There has been a shift towards increased scrutiny by lenders to ‘deep dive’ into the ability of borrowers to repay their loans, as regulators have expressed concern that lenders should look not only at the ability to service the loan but cultivate an expectation that the debt will ultimately be repaid in full and to more thoroughly stress-test this ability,” James explains. As lifestyles and spending habits have changed considerably over the years, and families in particular now have a growing list of expenses, a number of line items are now being taken into account that perhaps even just 10 years ago weren’t considered the norm. “Expenses such as multiple mobile phones, data usage, Netflix, Spotify, takeaway and home-delivered meals, overseas holidays and rising costs of childcare and private education all add up – and wage rises have been minimal,” James says. “Utility expenses such as electricity and gas have also been putting pressure on disposable household income, so we have an obligation to ensure that these expenses, when all added up, are not going to place undue financial pressure on borrowers now or if there is a downturn in the economy. That said, even though banks have tightened their loan application criteria, that doesn’t mean all hope is lost. D’Vaz suggests that loan applicants with more complex situations may need to look to the non-banks to find financial solutions, as these lenders are more flexible and able to assess applications on a case-by-case basis, instead of rejecting them based on restrictive credit scorecards. “A bank rejection can be disheartening and extremely stressful, especially if a settlement date is looming. But there are options out there, even in this tightening lending market,” D’Vaz says. Even if you usually manage your loan applications personally, now is a good time to consider contacting a broker who specialises in investor lending, he adds. Although many borrowers are finding themselves in new territory, for non-bank lenders this is nothing new; they have long been finding finance solutions for investors who don’t conform to the big four’s criteria. “We have catered to those who seek an alternative to traditional solutions for more than two decades,” says Heidi Armstrong, head of consumer advocacy at Liberty. When marketing executive Marcus W bought a two-bedroom apartment on the Gold Coast as an investment last year, he made sure to get all of his financial ducks in a row before making an offer. “I did the right thing and went to a broker to get the best possible loan. Ironically, the best fi t turned out to be my own bank, which was one of the big four. But the broker had done all the work, so I continued working with them to get the finance,” he explains. With pre-approval in place to spend up to $350,000, Marcus negotiated on an apartment for 10 days before settling on a purchase price of $315,000. Borrowing 90% with a 10% cash deposit, he was levied a $5,000 lenders mortgage insurance (LMI) premium to pay, which his broker assured him could be capitalised onto the loan. Despite getting pre-approval before putting his offer in writing, he said the process of getting loan approval was long and laborious. The frustrations continued right through the four-week settlement period, and there was a delay in getting unconditional approval because the bank was simply too backed up. “The impression my broker gave me was that my loan wasn’t a high priority for the bank, because it was such a low amount,” Marcus says. 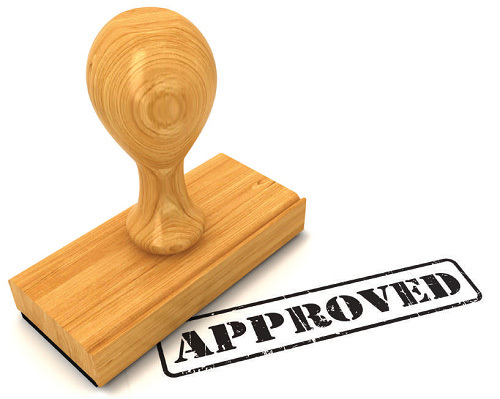 Eventually approval did come through 10 days late. Settlement was due to take place two weeks later, but it was delayed at the bank’s end once again, costing Marcus a pretty penny in the process. Fortunately, the existing tenant in the property stayed on and even agreed to a rental increase in December 2018, so the investment has been smooth sailing ever since. However, getting finance in the first place was a painful process – and one that Marcus doesn’t want to repeat any time soon.